For over two decades, the Near East Foundation (NEF) has worked with communities across Morocco to create opportunities for jobs and income, education, and participation in public decision-making. 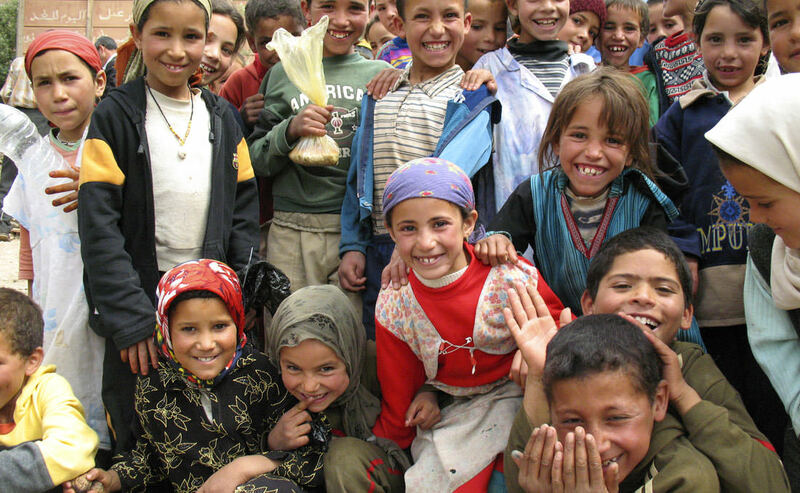 NEF projects in Morocco improve lives through initiatives in rural livelihoods, primary education, urban youth development, enterprise growth, and agriculture and natural resource management. Since 1987, NEF has developed strong technical expertise in local communities and institutions, and the issues facing Morocco. Building on its years of experience in the country, NEF’s current work focuses on improving the lives of youth through education and entrepreneurship. The unemployment rate in Morocco is over 10%, with youth unemployment over 25%. Youth, aged 20-39 years, make up over 32% of Morocco’s population. Although university graduates tend to have higher levels of unemployment compared with those with middle-level education and without a high-school diploma, there is a need for entrepreneurship programs that support those without an education. This project seeks to: support business growth through coaching, mentoring and networking to foster linkages to larger markets; provide incubation services in partnership with local business development actors; providing investment support through company assessments and investment planning; improving coordination, targeting and accessibility of business support services; and supporting entrepreneurship actors to address barriers to business growth collaboratively and actively promote support for local businesses through joint media and marketing campaigns. Despite significant investments in education relative to other middle-income and developed countries, educational outcomes in Morocco remain low both in terms of the quantity and the quality of student learning. The Kingdom ranks 73rd out of 76 countries in global educational performance rankings, and dropout and failure rates remain persistently high. As of 2014, the rate of enrollment for primary school and secondary school age pupils stood at 89% and 59%, respectively. Policy responses to social norms that discourage school attendance and deficiencies in teacher training and school curricula are driven by policy makers at the top for implementation by actors at the local level with little room for learning or exchange in between. Parents-Teacher Associations (PTAs) and School Management Boards (SMBs), expected to play a fundamental role in the management of schools, exist mostly, if at all, as formal non-operational structures. According to a 2009 study by Transparency International, 86.5% of Moroccan parents weren’t involved in their school’s PTA, and 64% didn’t know whether their school had a Management Board in place. Overall, 50.2% of parents were dissatisfied with the quality of education on offer. According to UNESCO, the way resources are allocated, managed and applied at different levels of the education system is a strong determinant of educational outcomes. Launched in December 2014 in coordination with CARE-Maroc, the Social Accountability in Primary Education or “LEAD” project is stewarding a more efficient, transparent and accountable model for primary education reform in Greater Casablanca and Marrakech-Tensift-Al Haouz Regions. NEF is (1) developing a participatory evaluative tool that School Directors, teachers, parents and students can use to benchmark and track progress against planned improvements in the delivery of primary school education, and 2) building the capacity, representation and voice of 50 Parent-Teacher Associations to contribute to school management and policy-making at the local, national, and regional levels. Despite a growing interest in primary education, large geographic and gendered gaps in school enrollment and performance persist in Ouarzazate province, south-central Morocco. Numerous studies have documented the link between access to quality primary education in childhood and improved access to economic opportunities in adulthood. Yet, rural families, the majority of them very poor, often fail to make the connection between illiteracy and poverty, and so do not prioritize education as a worthwhile investment due to a combination of adult illiteracy, inadequate school facilities, low community involvement in school management, and the persistence of traditional social norms at home and in the community. Social pressures to forego school for household chores – viewed as a form of “vocational training” among rural families – weigh heavier on girls than boys. Girls who persist and attend school often encounter a hostile environment that discourages completion, contributing to primary dropout rates as high as 40-60% in some schools. Over a 2-year period, the Near East Foundation UK (NEF-UK) and its Morocco-based partners, NEF-Morocco and Tichka Association, aim to improve access to and quality of primary education for poor girls and boys in 14 schools in Ouarzazate Province. Building upon more than a decade’s experience in the rural primary education sector, NEF-UK and our partners are strengthening parent-teacher associations, working with schools to create a more girl-friendly environment, launching sustainable income-generating activities that schools can use to fund infrastructure improvements and extra-curricular activities, and encouraging disadvantaged parents to regularly send their children to school and/or enroll those who would not otherwise attend, leading to higher academic performance and lower school attrition rates among school age children. Young people in Morocco (aged 15-29 years) represent 44 percent of the working age population. Fifty-one percent are out of school and out of work. The Government of Morocco (GOM) places great importance on addressing youth unemployment, but programs largely target youth with higher-levels of education, and only 18 percent of job seekers take advantage of them (Carnegie Endowment for Peace, 2010). Micro and small enterprises play a central role in Morocco’s economy, and account for nearly 94 percent of existing businesses. Existing entrepreneurship programs are largely uncoordinated and have yet to penetrate deeply into communities where youth unemployment is highest or reached youth populations that are most likely to take advantage and benefit from them. The EYEM project will play a coordination role and address this service gap. The Empowering Youth through Entrepreneurship Morocco project aims to leverage and bridge existing resources by engaging existing youth associations as drivers of regional economic and enterprise development for youth. NEF works through existing Youth Councils (YCs), which NEF helped introduce in Morocco, to provide training, create support networks, and support young entrepreneurs (50 percent women) to grow profitable and sustainable businesses that are market-oriented and scalable. NEF is working in partnership with well-established Moroccan associations: the Association Marocaine d’Appui à la Promotion de la Petite Entreprise (AMAPPE) and the Réseau Marocain de l'Entreprise Social et Solidaire. Regional Participatory Economic Assessment completed to help youth identify niche business opportunities, business-based approaches to community problem-solving, and sources of ‘smart capital’; 16 youth and representatives from local agencies participated in Training of Trainers to become microenterprise development coaches; more than 100 young people completed the microenterprise development training cycle. Three (3) business incubators were launched, with up to 20 youth visiting per day. Thirty (30) young people from the first training cycle developed business plans; 18 were selected for funding.